Cleans synthetic, patent leather and rubber surfaces, removes stubborn dirt and is sustainably dirt-repellent. Horse boots are protected against dirt, dampness and wear and tear by means of the easy-to-clean effect. It has a caring effect on the surfaces and gradually the full depth of colour is restored. After application, horse boots and patent leather bridles will look like new. Our recommendation: Spray new horse boots before first wearing them - this means the easy-to-clean effect will work from the very beginning. Application: First of all remove general dirt from the surface. 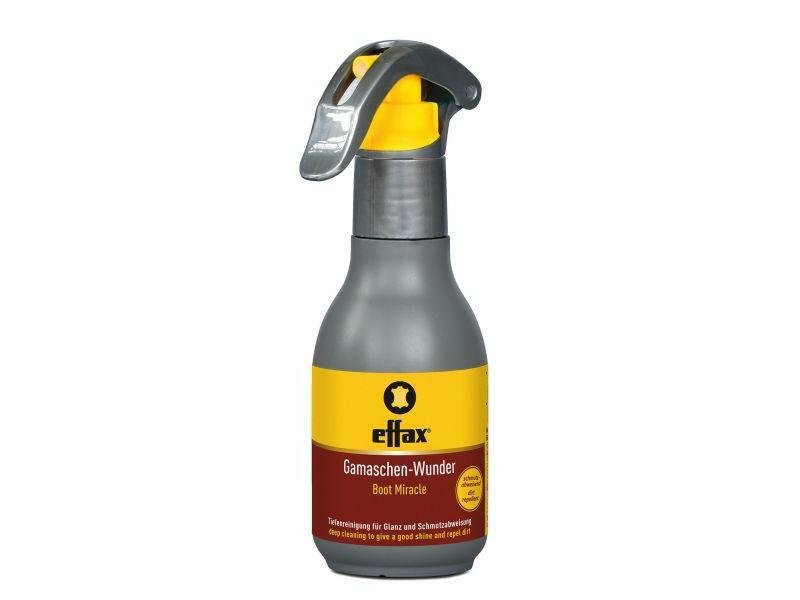 Spray on effax® Polish for Horse Boots and Human Boots and rub dry with a soft cloth. There are currently no questions for Effax Boot Miracle - be the first to ask one!